When I am grown to man’s estate. I shall be very proud and great. And tell the other girls and boys. Not to meddle with my toys. Thus reads the whimsical, “Looking Forward,” of this delightful collection. From the sweetness of “Land of Nod,” to the imaginative dreams of “Pirate Story” and “Travels,” Robert Louis Stevenson’s beloved poems celebrate childhood in all its simplicity and joy. 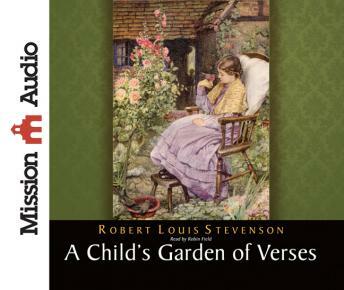 Originally published in 1885, A Child’s Garden of Verses has served as a wonderful introduction to poetry for each new generation.